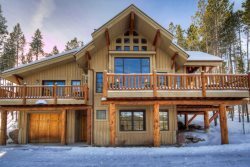 Thank you for your interest in our Saddle Ridge and Moonlight Vacation Rentals in Big Sky, Montana. We are looking forward to hearing from you and helping to make your vacation to Big Sky your best vacation ever. Please contact us by phone or email if you have any questions about any of our properties or if you are interested in reserving a property. We will respond as quickly as possible. We are available to take reservations 7 days a week.